provides the reader with a contemporary overview of festival activity from around the world based on over 30 case studies drawn from every continent. Through its case-study focus this book can be utilised in several ways; to examine different types and genres of festivals across the world; to consider in detail specific festivals in specific contexts; to look at management and organisational issues in festival provision, and to illustrate debates and theories pertaining to festivals throughout the world. This book is a companion to Focus on Festivals, it is written by a varied mix of academics, practitioners and cultural commentators. 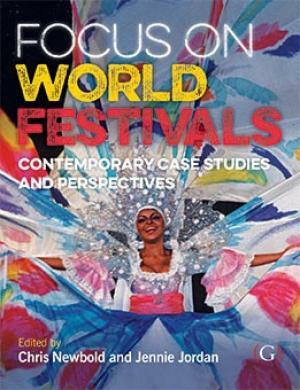 It expands many of the central themes and issues to reach a global understanding of festivals. It is a dynamic and indispensable text for students in arts and festivals management, events, tourism, creative industries, cultural and public policy, music industry and management courses as well as for festival and events managers, public authorities and existing and potential sponsors. Through the variety of festivals illustrated in this book, the reader will discover that much about the nature of festivals crosses borders, they are a recognisable and growing part of societal and cultural delivery around the globe; their impacts, economic, social and cultural are a major driver in their development; their popularity with audiences, arts organisations and performers is undiminished in this ever-expanding cultural phenomenon of festivals.